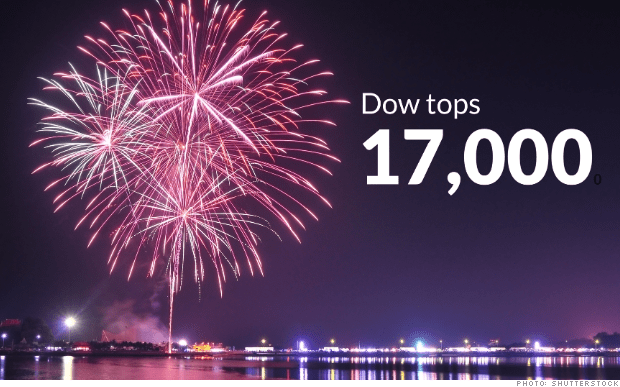 The DOW blew through 17000 on July 3rd upon the news that the participation rate dropped to 62.8%, meaning a record 92,120,000 of working age Americans are neither working nor looking for work. Of course, those whose exuberance created the rally would point to the slightly better than anemic 288,000 jobs created as their inspiration. Just shaking off the 3% loss in GDP last quarter, the market has continued to grow by leaps and bounds. Great for retirement accounts, at least as long as it continues. The latest news led also to a drop in the official unemployment rate to 6.1. Forget that the real unemployment rate would be around 20% if the participation rate was similar to 2007, at least the President’s supporters are hoping you will. Similarly, those same people believe the official teen unemployment rate rising to 21% is not worth dwelling too much on. After all, the left has greater concerns than the youth building the skills they will need for the future. Even with some minority dominated areas seeing youth jobless rates as high as 80%, they seek to raise the minimum wage so they can exasperate an already tragic situation. An act that is as sensible as a farmer throwing his seed corn to the birds. We are living in a new paradigm, at least that is what the world is being told. We have to accept poor to mediocre economic news as being about as best as its going to get. Why people should not expect 5-7% growth, a real unemployment rate of 3.5-3.9 or a rising middle class is never voiced. Of course there is a reason, such expectations are simply not realistic under the present policies that punish success and reward failure. There is a still another part of side of economic debacle America finds itself in, that being the increasing dependency of its citizenry on government for survival. The people who stopped working did not just go in a corner to die, they have turned up in welfare lines and are receiving disability payments under the Obama administration’s greatly expanded definition of being disabled. Some have moved back in with parents or other relatives as well. The pride of self-worth that comes with making it on your own has been ripped away from millions. Instead of the dignified satisfaction of knowing one is contributing to society and earning one’s own way, they have come to value wallowing in self-pity and begging for that which is sufficient for the day. Dwight Eisenhower’s admonition that “Every step we take towards making the State our Caretaker of our lives, by that much we move toward making the State our Master” is sage advice presently ignored by those who have rushed to get what they perceive as free.